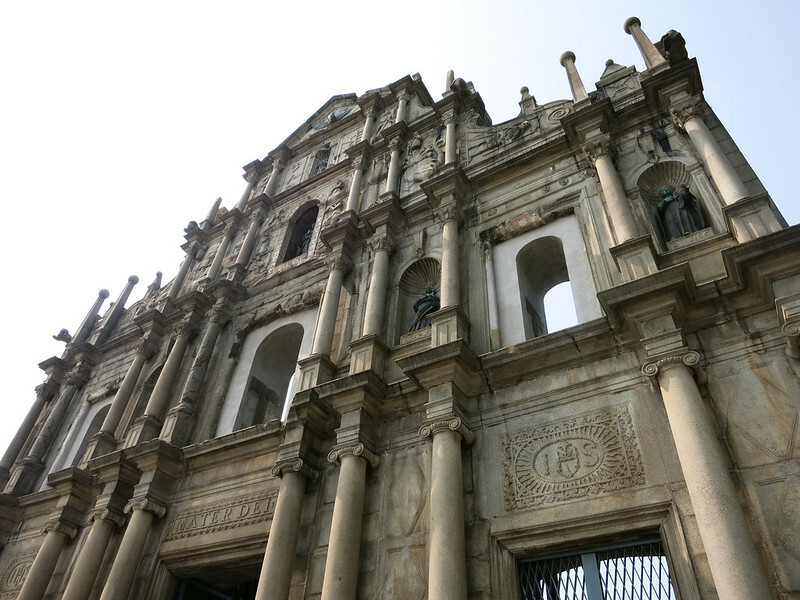 The ruins of St. Paul’s. 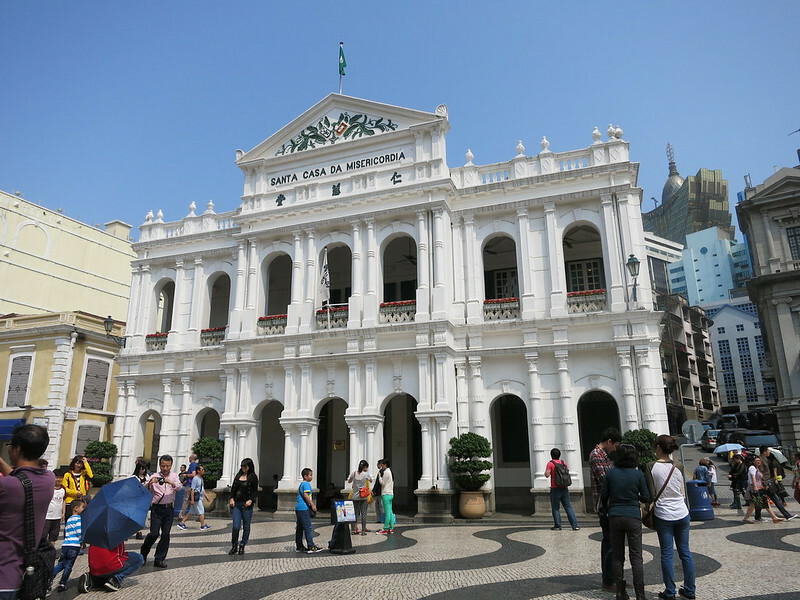 With Macau being so close to us and wanting to see some cool Portuguese architecture, N and I took the ferry there one afternoon. It would’ve been morning, but we didn’t realize just how popular this route is, and all ferries for the next few hours were booked solid. 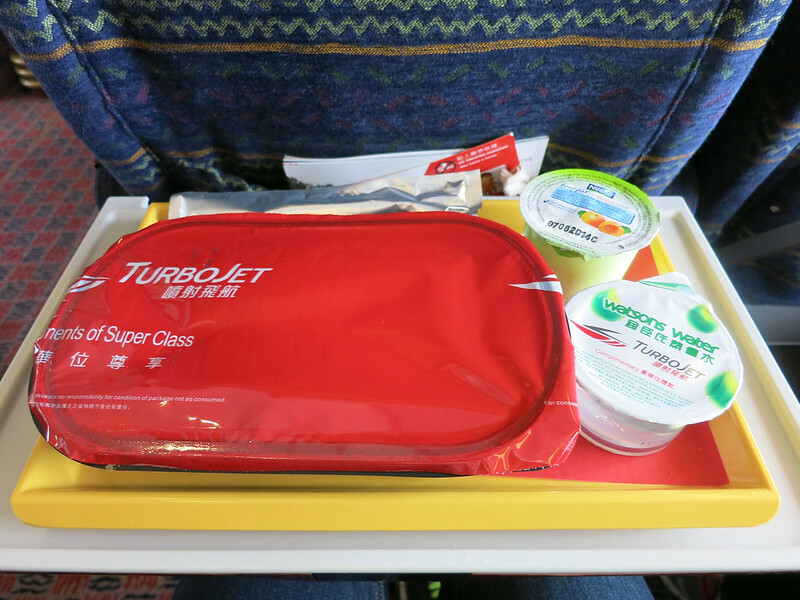 Except in Super Class, which ended up being double the price ($40 per person). While this might not be very much if we were employed, we aren’t and we try our best to stick to our daily budget of $100. But we didn’t want to wait for the next Economy Class seat at 1:30pm so we sucked it up and bought one-way tickets. 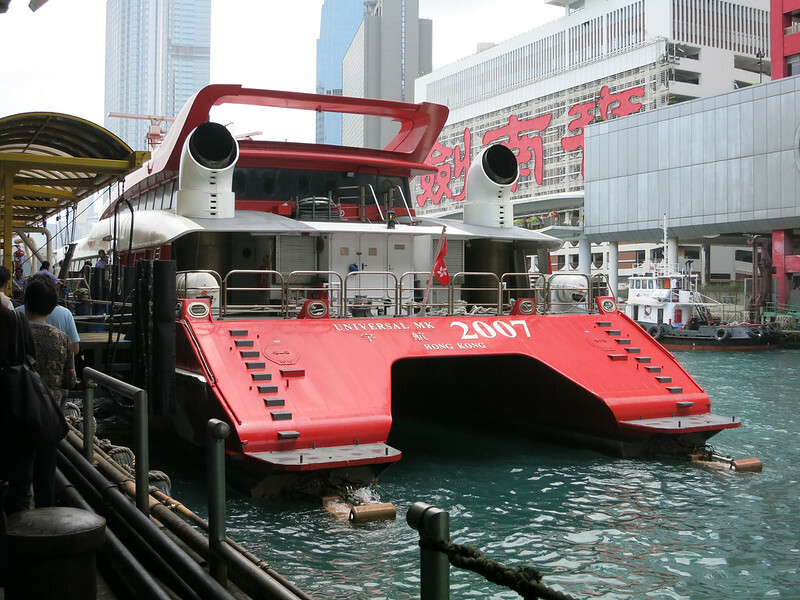 Our hydrofoil ferry to Macau. Ballin’!!! My chicken satay lunch on the ferry, with yogurt and water. The trip ended up being a slightly rocky 45 minutes long, so we willed ourselves to sleep to avoid getting nauseous from the motion of the ocean. Immigration wasn’t as bad as we thought and took only 15 minutes (compared to the one hour we had read about) to get to the front, where an uninterested immigration official barely looked at our passports and gave us a slip of paper in lieu of a stamp (this also happens in Hong Kong, which can be problematic because it is very easy to lose the tiny slip of paper). The Holy House of Mercy in the square. 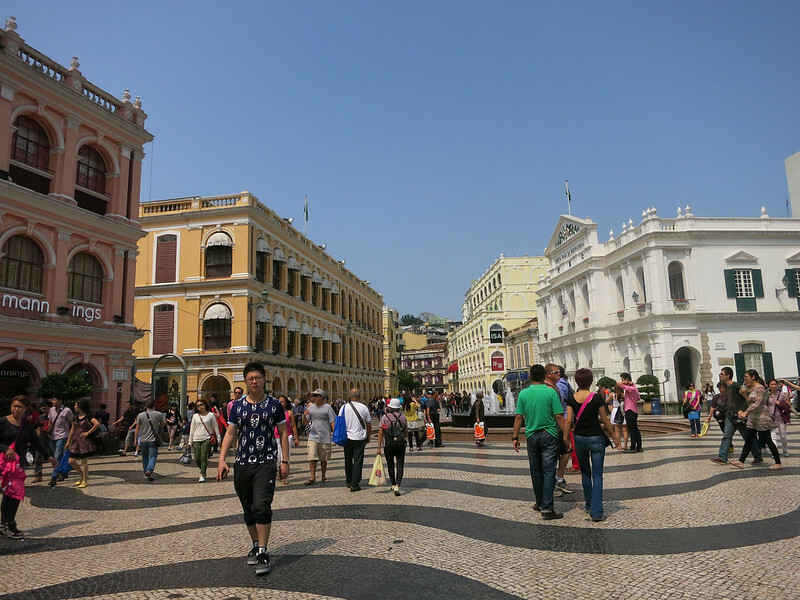 We took a bus to Senado Square and were disappointed to find out that it’s like Times Square in New York, complete with tourist traps selling everything Mainland Chinese tourists would want. 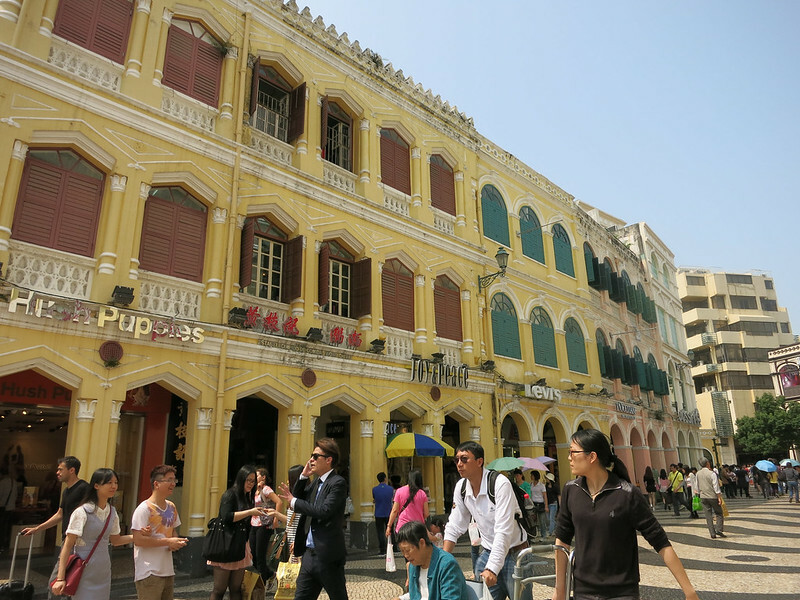 Like imported beauty products and powdered baby formula (as with many other consumables, the Chinese don’t trust their own baby formula and they shouldn’t). Cool architecture in the square. 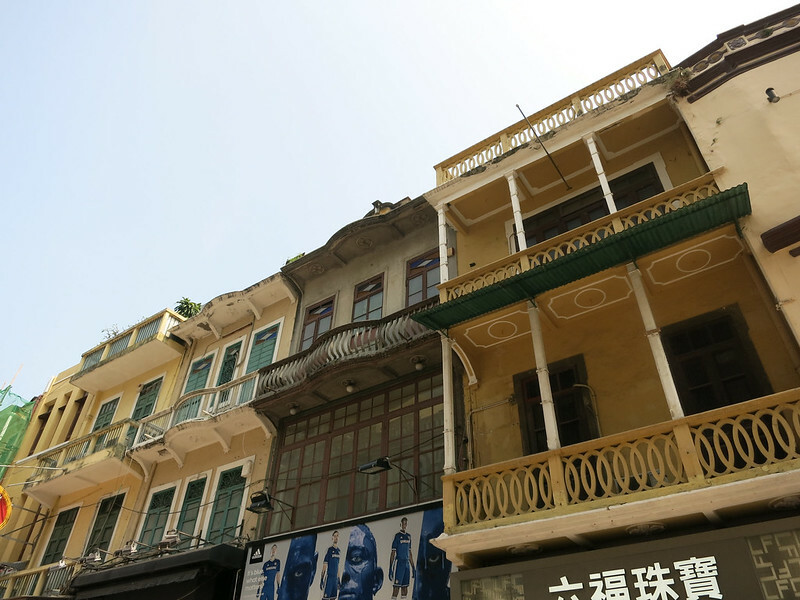 The old historic buildings were probably the most interesting part of Macau for me.